FBI along with the US Department of Justice has opened a civil rights investigation into the shooting of a Sikh man by a partially- masked gunman, who shouted "go back to your own country". 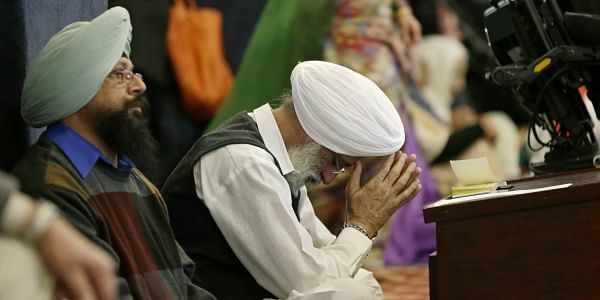 WASHINGTON: The FBI along with the US Department of Justice (DoJ) has opened a civil rights investigation into the shooting of a Sikh man by a partially- masked gunman, who shouted "go back to your own country". Deep Rai, a US national of Indian-origin, was shot outside his home in Kent, Washington, on Friday. "The FBI's Seattle Field Office, in conjunction with the DOJ's Civil Rights Division, has opened a civil rights investigation into the March 3 shooting incident in Kent, Washington," Ayn Dietrich-Williams, spokesperson of FBI Seattle Field Office, told PTI. The federal investigation is in addition to a criminal investigation being conducted by the Kent police. The FBI is investigating the incident as a hate crime. "The FBI is working with the Kent Police Department and will collect all available facts and evidence to determine if there is a federal civil rights violation. As this is an ongoing investigation we are not able to comment further at this time," she said. The FBI defines a hate crime as a "criminal offense against a person or property motivated in whole or in part by an offender's bias against a race, religion, disability, sexual orientation, ethnicity, gender, or gender identity", according to the bureau's website. Rai was released from the hospital on Sunday. Police Chief Ken Thomas said detectives have canvassed Kent's East Hill neighbourhood, where the shooting took place, and have spoken with potential witnesses and area businesses. However, he declined to discuss any evidence detectives collected. Governor Jay Inslee, in a statement, condemned the shooting, saying "these acts of violence are hateful, detestable, and un-American". Sikh American Legal Defence and Education Fund (SALDEF) said, "This incident followed a surge of attacks on our communities." SALDEF said it will be launching a series of 'Know Your Rights Forums' in gurdwaras across the country beginning in Durham, North Carolina on March 26. "The purpose of forums is to (1) introduce Sikh American community members to agencies and groups that can address complaints, incidents, or issues and (2) provide local, state and federal governmental agencies the opportunity to build relationships with and address the specific needs of their local Sikh American community," SALDEF said. The South Asian Bar Association (SABA) of North America said it was "gravely concerned about the sharp increase in racial and religiously targeted crimes throughout the country". "We call upon the federal government to take immediate public action to protect the public and denounce these heinous and bigoted acts," said Vichal Kumar, SABA North America president. South Asian Americans Leading Together (SAALT), a rights organisation, alleged that President Donald Trump's "dangerous combination" of rhetoric and policies has fanned the flames of violence, including the deadly February shooting of two Indian men in Kansas and this weekend's shooting of a Sikh man in Kent, Washington. SAALT called upon the US President to immediately reverse course and end his campaign against Muslim and immigrant communities. "It is time for the White House to set the tone for our nation and turn its back on poisonous rhetoric. It is time for our nation to begin to heal from the violence," it said.